Download Things That Go Now! 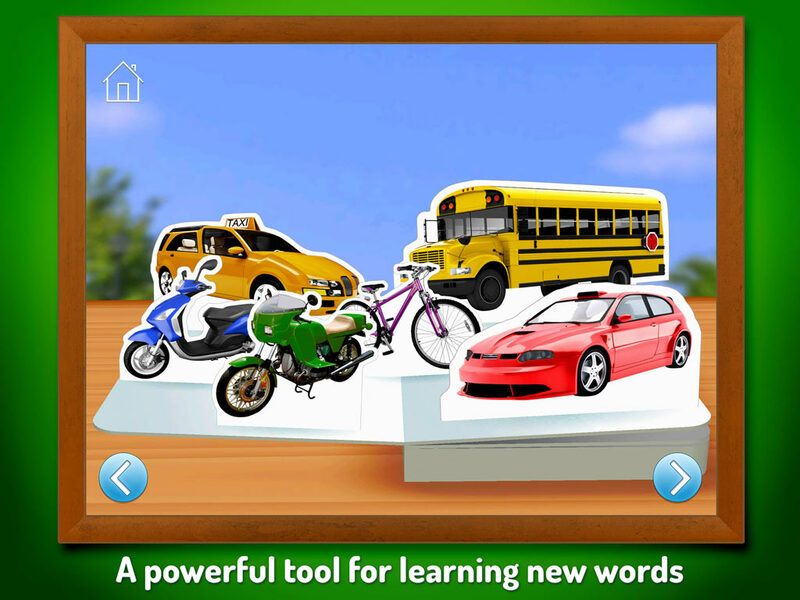 Things That Go introduces early learners to over 55 busy vehicles from around the world. 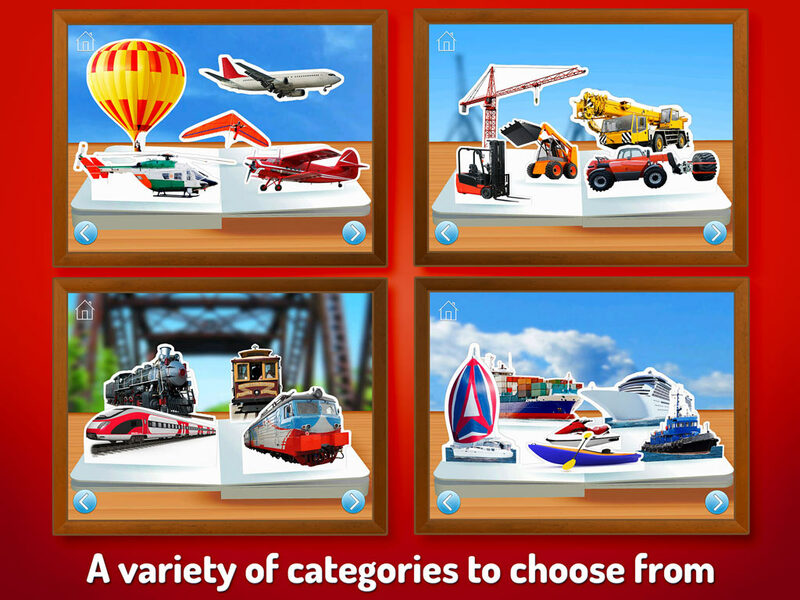 It’s also the perfect app for parents and little ones to share, combining superb photographs, simple word labels and friendly narration. In addition, you can turn the app into a language-learning tool for students of all ages, simply by choosing a second language in the menu. 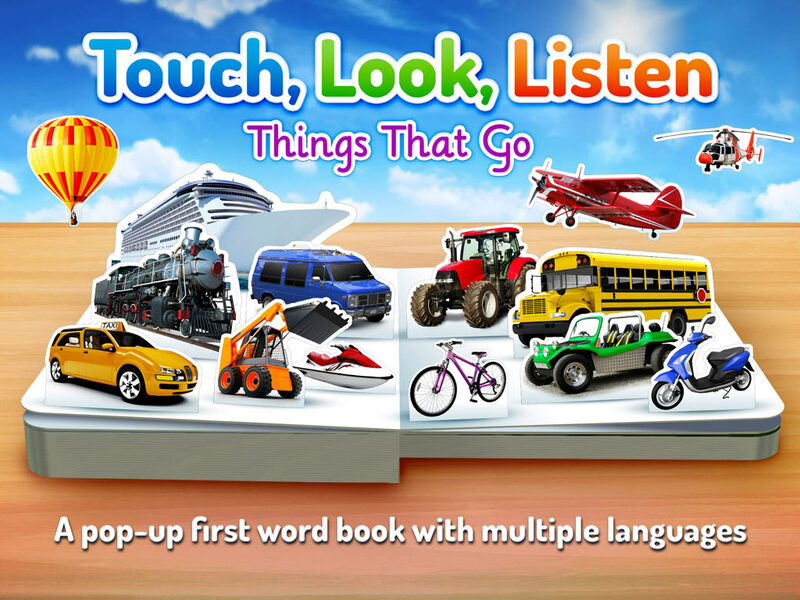 Things That Go is just like a real book, so it’s easy to find your way around. 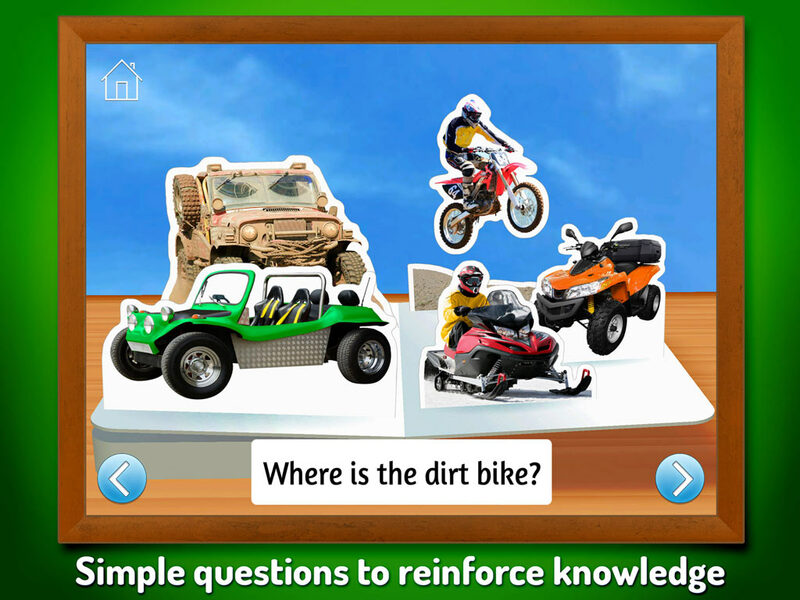 Each page is introduced by a playful rhyme, while bright and colorful images pop-up magically as each 3D scene opens. When your child taps a picture, they see and hear the associated word, making this a powerful tool for learning new words as well as reinforcing those they already know. 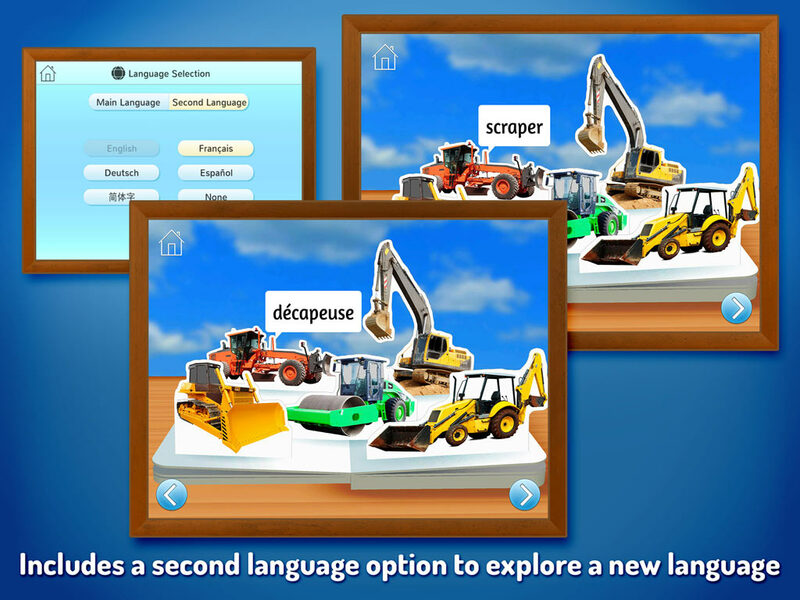 With the second language option, they can explore other languages too, including Spanish, Chinese, French and German.